Born in Stuttgart in 1954, Bernd Martin learned to play both the piano and the guitar at a very young age. He continued his guitar studies in Stuttgart and in Munich, where he went to university. In 1976 his passion for Spain, as well as the guitar, led him to move to Granada and to begin making his own guitars in the workshops of Antonio Durán and Jose Lopez Bellido, under the tutelage of Eduardo Ferrer. 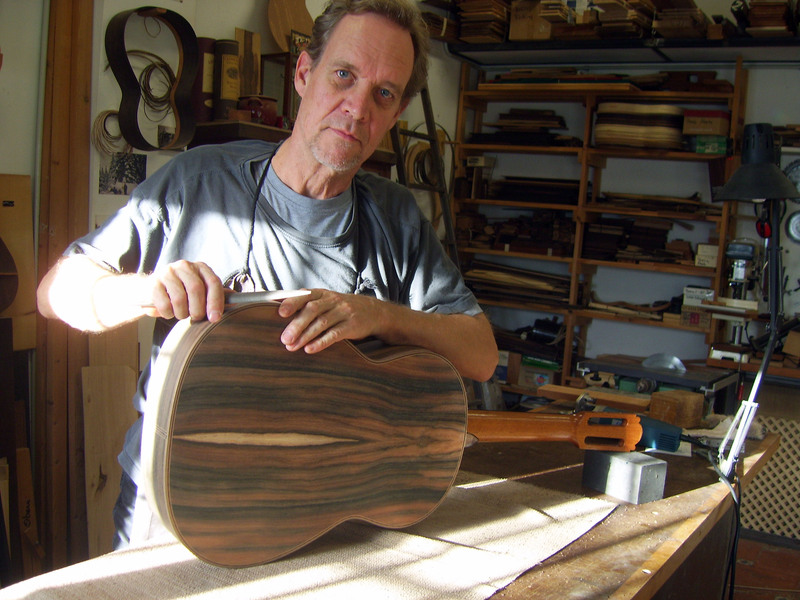 Bernd Martin was the first non-Spaniard to establish himself as a guitar maker in the city of the Alhambra, with a workshop in the Albayzín district. In 1999 Bernd Martin won first prize in the “Concurso Nacional de Lutheria” (National Luthiery Competition) organized by J. L. Romanillos. Bernd has a profound knowledge of the instruments of the great master luthiers (Antonio de Torres, Manuel Ramirez, Santos Hernandez, et al), and through his collaboration with top guitarists, and his many years of investigation, he now builds tremendous guitars with a deep, rich and lyrical sound – guitars in which precise adjustments make perfection the standard, and which offer maximum comfort to the guitarist. To date he has made over 400 guitars using traditional techniques – instruments that renew the legacy of the old masters, and that bridge the gap between the expressive lyricism of Spanish guitars and the polyphonic equilibrium of the European school. Since 2006, Bernd Martin has been working with his son, Lucas, in a new shop, magnificently situated in Granada’s Sacromonte district. Lucas Martin, born in 1984 in Malaga, Spain, has been living in Granada, close to the “Sacromonte”, since an early age. He built his first guitar with the guide of his father Bernd in 2002 — this formed his first contact with this art which was meant to soon change his life. In 2006 his work as a guitar maker started in earnest, when he joined his dad in his new workshop in the Sacromonte, a magnificent place with privileged views to the Alhambra Palace and the city of Granada. 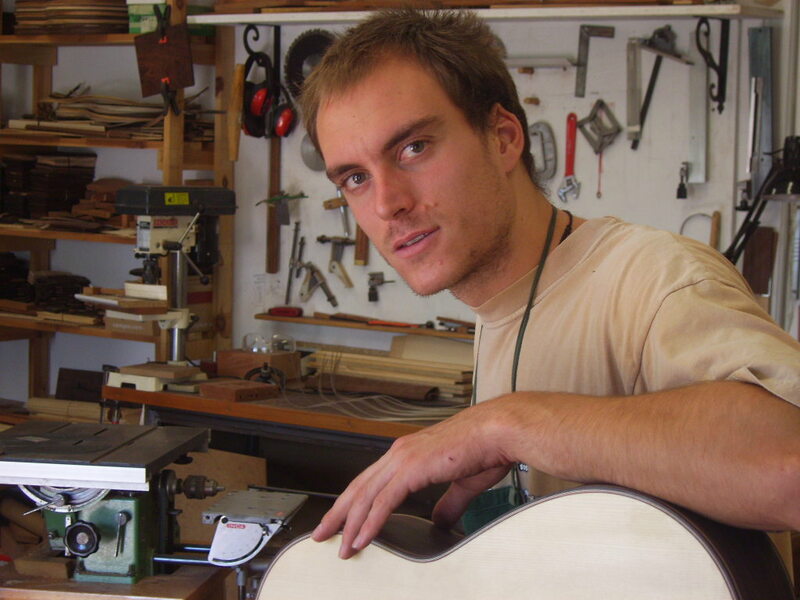 He is fully dedicated to and following the established tradition of guitar construction, and is making his own guitars, both flamenco and classical. In doing so he is taking reference from the models which have been perfected by his mentor during almost 40 years of guitar making.